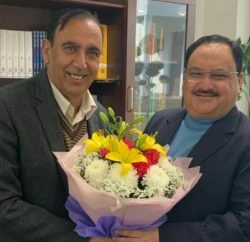 Horticulture & Technical Education Minister Narinder Bragta met Union Human Resource Development Minister Kapil Sibal today. 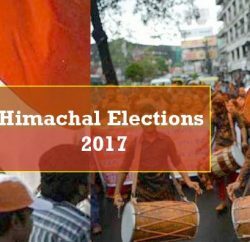 In the meeting, Narinder Bragta requested for the establishment of an Indian Institute of Information Technology (IIIT) in Himachal Pradesh. 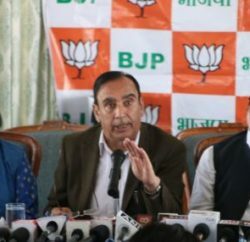 Bragta told Sibal that the State Government has identified 132 acres of land for the University, he added that the State will provide the land free of cost and the government is also ready to bear 35% of the expenditure in building the university. 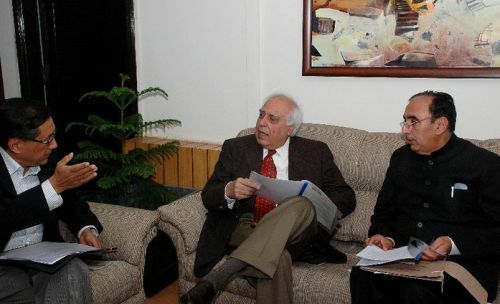 After the meeting Bragta presented Sibal with a Himachali topi and shawl.